We’re going to challenge you to use three surface decoration techniques in this small project! Sounds like a lot, but we’ll keep it stylish by keeping the shapes we’ll use consistent. 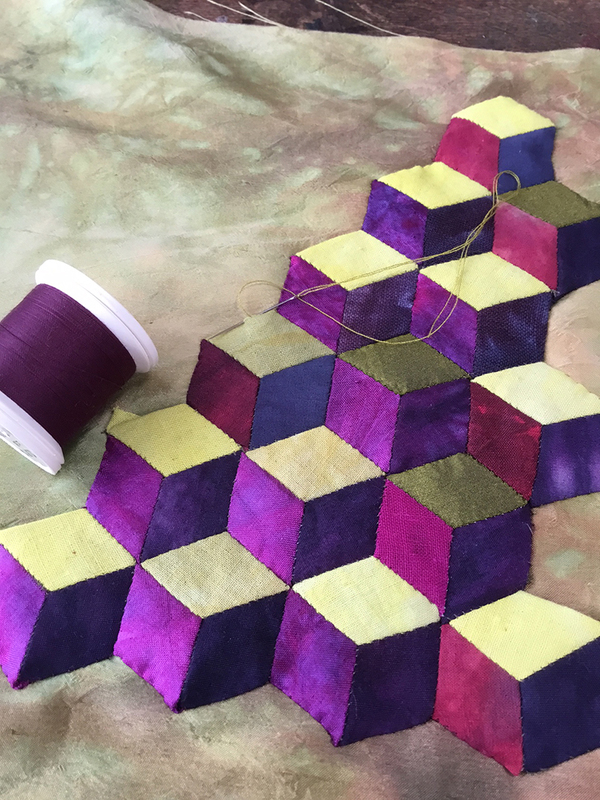 First, select a tessellating shape, hexagons, diamonds and triangles are all great choices. You might already have templates for your chosen shape, but if not, a quick look on the internet will provide! We’ve used this website to print off template sheets. Please note that this is a link to an external site with ads. We have no affiliation to it and no responsibility for it. Please satisfy yourself as to the safe use of the site, etc. etc. 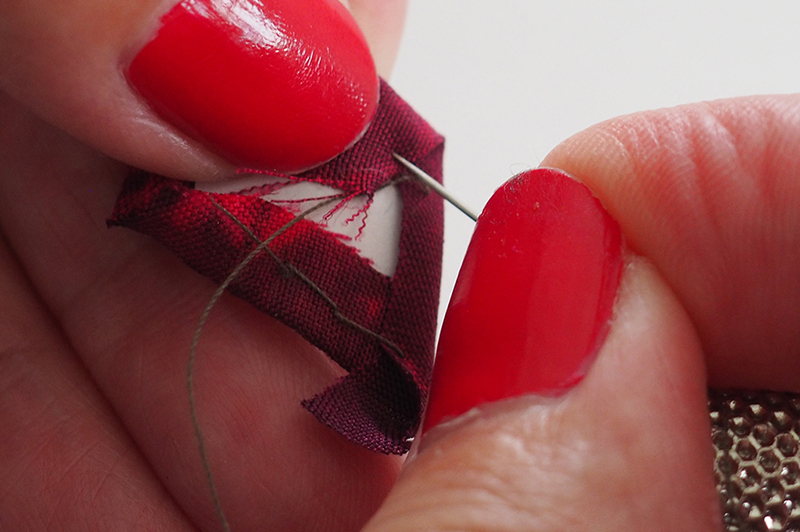 This is a great method for on-the-go piecing as you work by hand with minimal equipment. 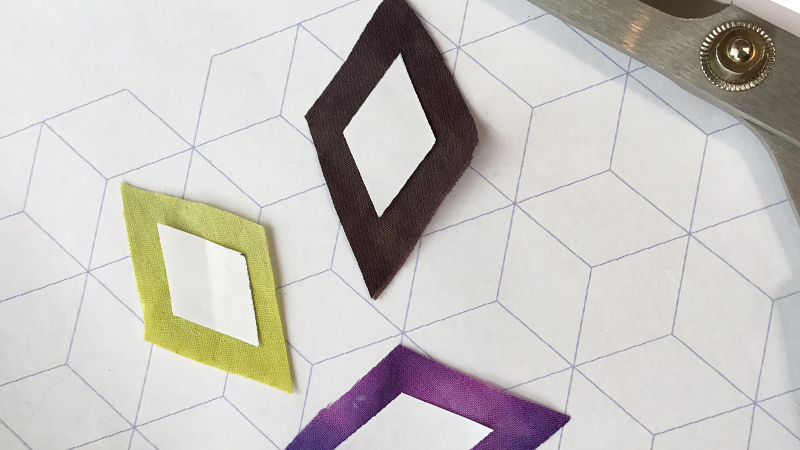 Start by cutting out a few of your chosen shape in a mid-weight paper. 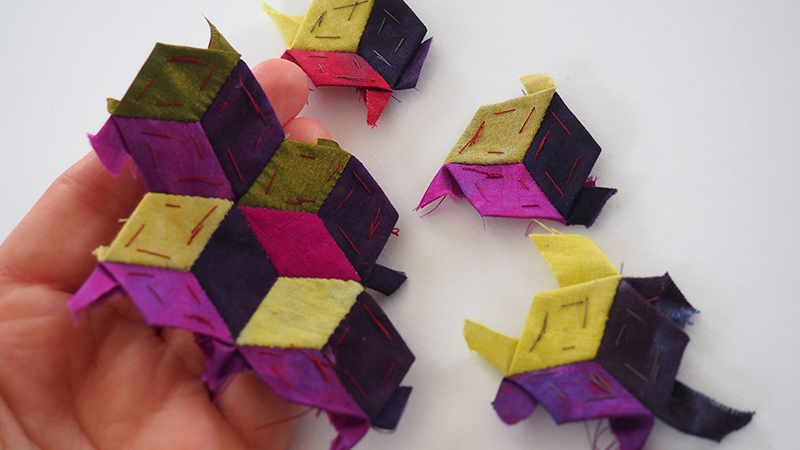 Don’t use anything too thin as it’ll be a bit flimsy for paper piecing. 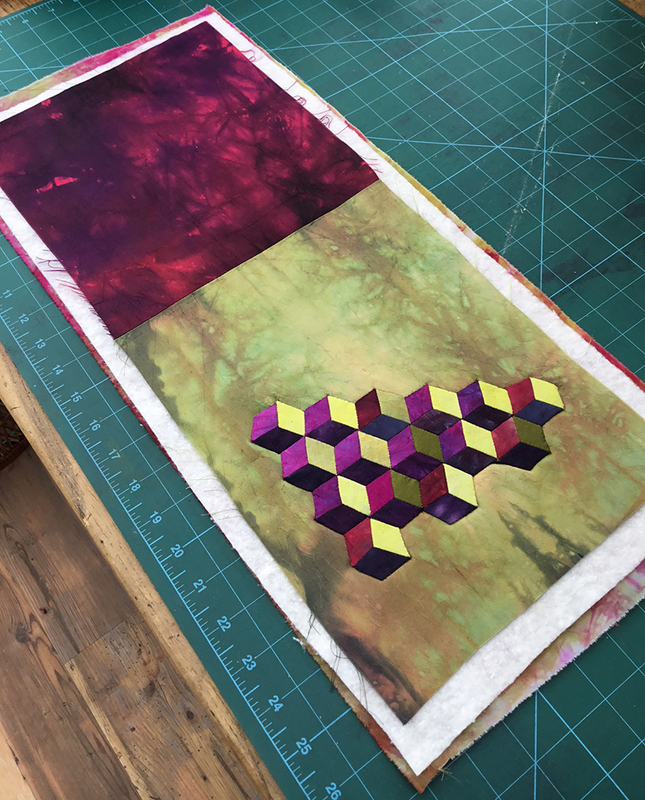 Place the shapes on your bookwrap pattern piece to start to get a feel for how many you might need. We’re not aiming to cover the whole book wrap with this technique, instead, you could place them as a drift, rosette, or band. I’ve opted to use a 1/2″ diamond which will suit the scale of my small book. Now it’s time to cut the fabrics. Place the paper template on the fabric and cut around with about a 1/4” seam allowance. 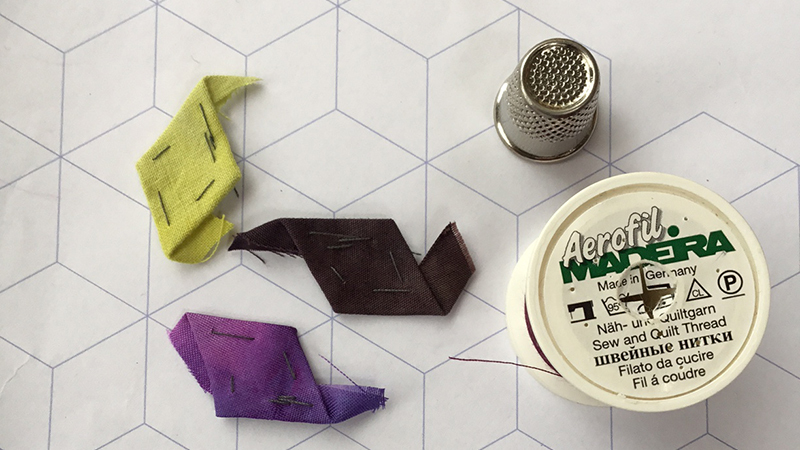 Baste the fabric to the paper using your favourite method. I know some EPP sewers like to use glue, but I’m ‘old school’ and I tack the fabric over the paper with stitches. The fabric should be wrapped snugly around the paper shape, but not too tightly so as to bend it. 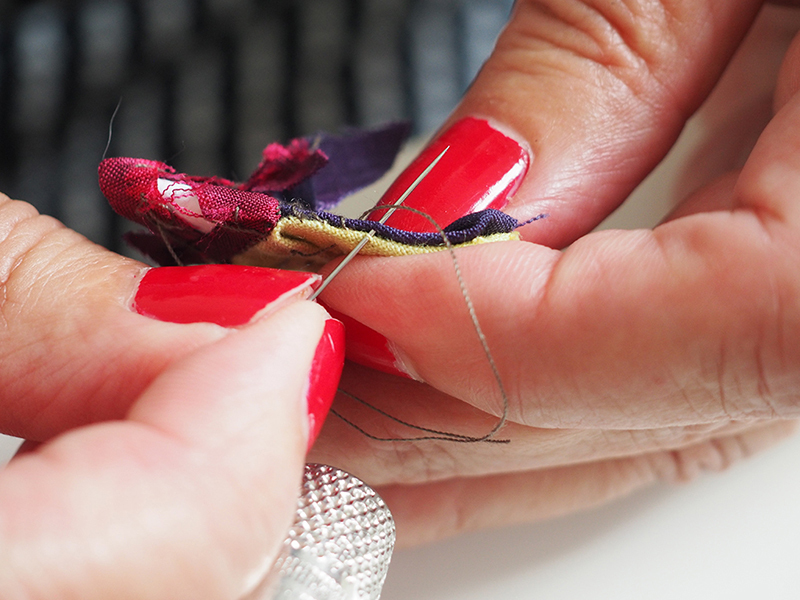 Just ignore those pesky points – you’ll keep them out of the way as you sew. As you tack your fabrics to the paper shapes, play around with arranging them. Maybe you’ll grade the colour, or place them randomly? I’m going for a traditional ‘tumbling blocks’ arrangement for these diamonds so I’m placing a light, medium and dark diamond in a consistent position each time. 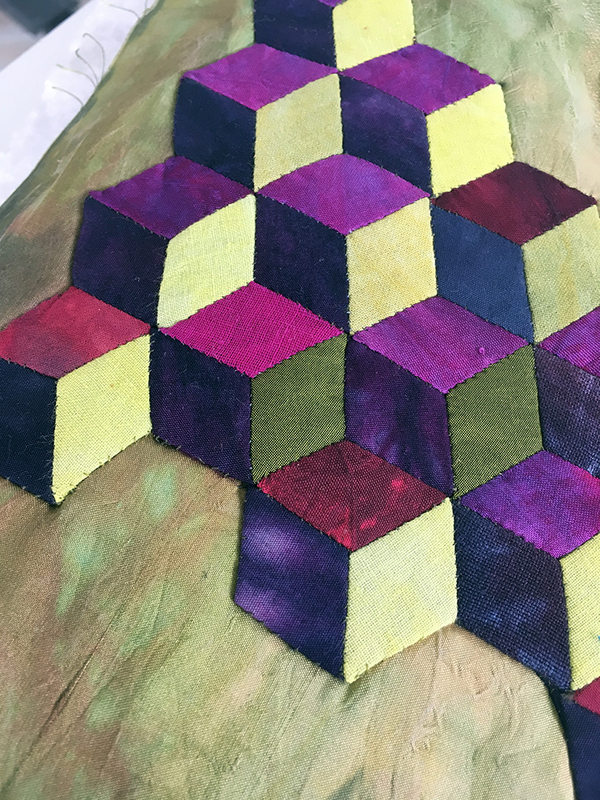 When you’re happy with the arrangement, it’s time to sew the shapes together using the traditional method of tiny oversewing stitches. Place two adjacent shapes right sides together, lining up the seam to be sewn. With a thread that favours the darker of the two colours, take small stitches keeping your needle perpendicular to the seam. The thread will travel on the diagonal. 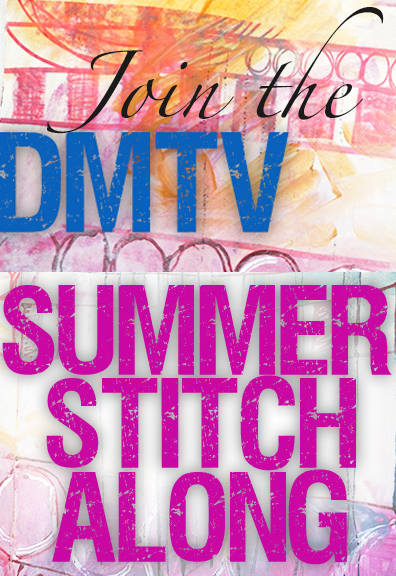 You should only be catching a few threads of the fabric, not stitching into the papers. 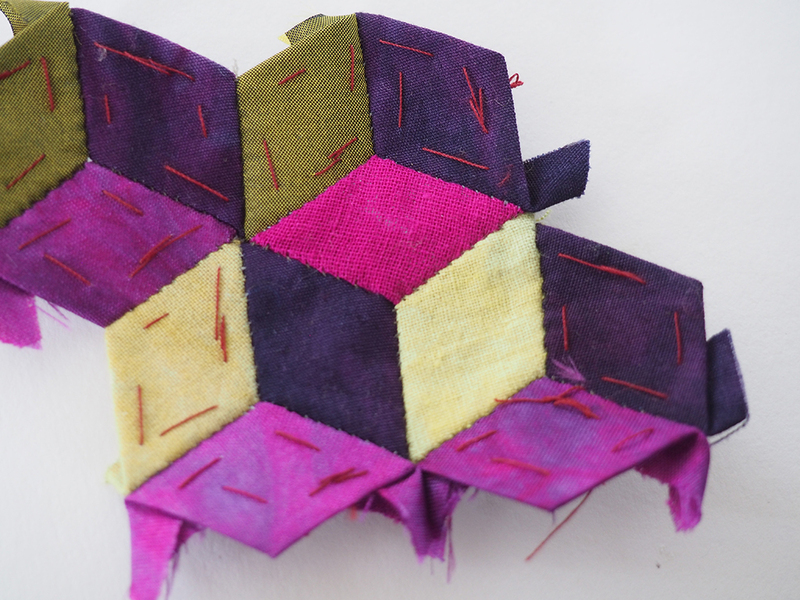 When all your shapes are joined together, press, then remove the tacking stitches and papers. The ironed crease will determine the edges. 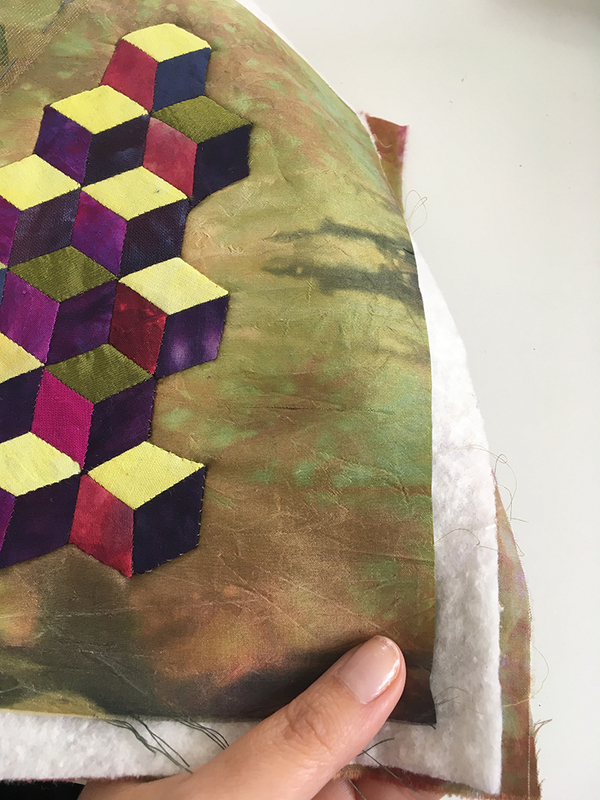 Apply the piecing to your main book wrap fabric. With the seam allowances tucked under, tack it all in place and then blind hem around the edges. Do you notice how we’ve not taken our piecing right to the very edge of our background fabric? This side section will wrap to the inside of the cover to form the flap that holds the wrap in place and so won’t be seen until the book is opened. So that’s the first of our three techniques for this section of the Stitch Along. We’ll be back in a few days with the next stage and we promise, it’ll be a much speedier technique!